What makes a good face scrub for men? With the ongoing strive for healthy looking skin a year round quest, we thought it prudent to reveal what makes a good face scrub for men. That cold winter air is definitely your skin’s worst enemy; drying it out and making it more sensitive than usual. While during the warmer months, sun damage can cause dryness and flaking too. If you haven’t already invested in a facial scrub, now’s the time to consider one. As well as preventing dryness, facial scrubs help to prevent spots and pimples, remove dirt (therefore creating an improved shave) and help your skin regenerate faster, creating a refreshed look and anti-ageing effect. Remember, it’s important not to over use facial scrubs as they can dry out the skin if used too frequently. Below you’ll find Ape’s top three. 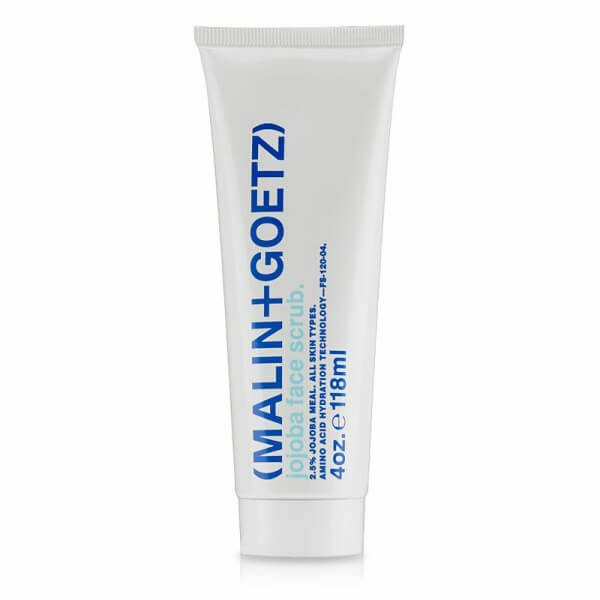 We have determined a good face scrub for men should be part of every man’s male grooming routine all year long. This natural ingredient facial scrub is suitable for normal to oily skin. As a facial scrub, it is exfoliating and revitalising and helps to remove impurities as well as aid in removing ingrown hairs. It also encourages skin cell renewal. Natural skin cell renewal usually takes place around every 30 days however when we hit 30, it tends to slow down. Therefore, this is great for men in their 30s+. At £17 for 120ml, it’s affordable too. Recommended use is 1-2 times per week. 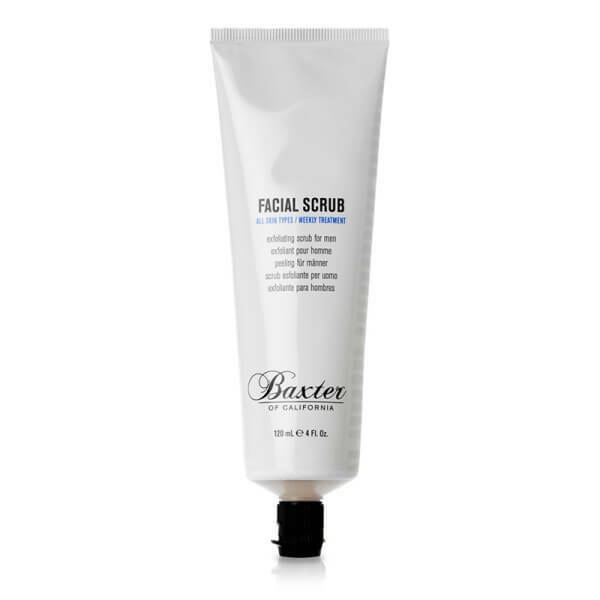 The scrub incorporates chamomile, lavender extract, witch hazel extract and aloe vera and as a result is calming to skin. £17 for 120ml at MR PORTER. A soothing blend of cilantro, amino acid, jojoba meal and polyethylene beads make this scrub great at pH balancing your skin. It’s suitable for all skin types and has a distinct calming element; making it great for sensitive and fragile skin too. When rinsing, the scrub leaves no residue behind, meaning it creates even looking skin. Essential for that healthy, fresh faced look. Recommended usage for this scrub is 2-3 times per week. £30 for 118ml at SPACE NK. 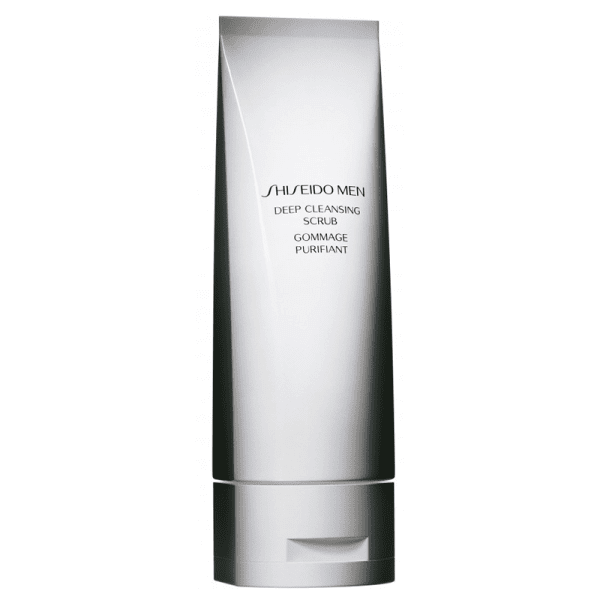 Shiseido’s deep cleansing scrub aims at eliminating blackheads from your skin, creating a clear, healthier complexion. It helps to remove dead skin cells and prevent roughness with the corporation of two types of botanical scrubbing beads. Its main focus is to brighten the skin and create a fresher faced look as it removes the dull skin cells that clog up the pores in top layer of your skin. The super-rich lathering formula, despite being ‘deep cleaning’ if gentle too. We found it particularly tolerable on delicate and sensitive skin. £25 for 125ml at HARVEY NICHOLS. Ultimately, a facial scrub is used to promote cell regeneration, remove debris and grime and help create that fresh-faced look whilst calming your skin at the same time. They also help with removing ingrown hairs and promoting a smoother shave. Undoubtedly something worth adding to your grooming routine.